For those of you who missed this study the first time around, you’ll definitely want to dig into it now! And for those of us who completed the study a couple of years ago, there is so much more to be gleaned, again and again. 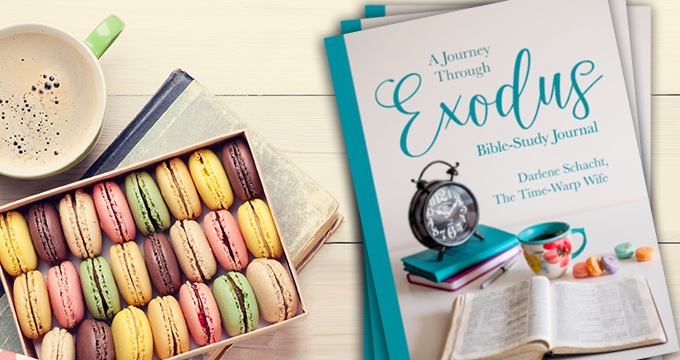 This 10-week journey takes us on an exploration through the book of Exodus, chapter by chapter with thought-provoking questions that motivate us to dig deep into scripture and hold fast to our faith. As we make our way through this study we’ll look at the 10 plagues of Egypt, examine the first Passover and the Feast of Unleavened Bread, and then we’ll then take a detailed look at the setting up of the tabernacle. The study is 8 weeks long. I’ll have a FREE study guide that you can download, as well as printable scripture cards each week throughout the study to encourage you along. The study guide will be right here on April 9th along with a more detailed explanation of the study. 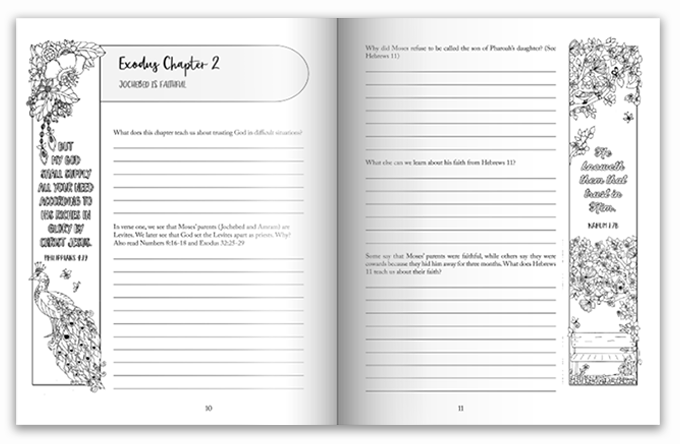 In addition to the study guide, I’ve created a journal (available now at Amazon) for the study with thought-provoking questions, daily Bible verses, space to jot down your thoughts, and whimsical images that help make your study time creative. You’ll find everything you need to complete the study in this journal. The study will run for eight weeks, April 16th to June 15th (that time frame includes a one week break). But First: Come back here on April 9th for the free study guide. See you then! First I would like to say thank you for offering the study guide for free and also for all your hard work you put into spreading the gospel of our LORD Jesus Christ. There are no words to say how much I appreciate your love and care for us women. You have a God given gift and this is one of the best sites I come to for an online Bible Study. I’m happy to hear the good news about your Mother and I will continue to keep her in prayer. May God continue to Bless you and give you the gift of ongoing learning and teaching God’s word to us women. Quick question, Is the study guide and journal the same as the study we did two years ago? When we did the study two years ago, I had only begin to create studies at that time. So the first half of the study was a different format. I didn’t have several questions for each chapter back then. I only had about three. Doing the study this time around, I have about 10 questions for each chapter, and so we are digging deeper this time. My Bestest friend and I live thousands of miles away. We will be joining you for this study in Exodus! 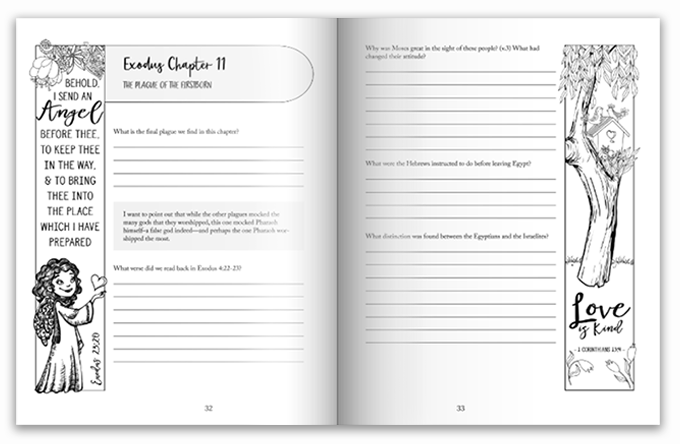 We have already ordered our bible study guides/journals. Looking forward to this study. Thank you for your faithfulness and diligence in providing these studies and all the other encouragement. Your study is giving a us an “easier” way to study God’s Word together. Thank you! That’s really awesome to hear. Hello to both of you! Thank you, sweet woman of God! May God continue to grow you and your ministry and bless you abundantly. Is there a “schedule” of our reading?? Usually there is, but I’m not seeing one. Did I miss it?? I’m really excited about starting this!! I am having a hard time finding the videos she posted. also having a hard time finding where people talk about the study. 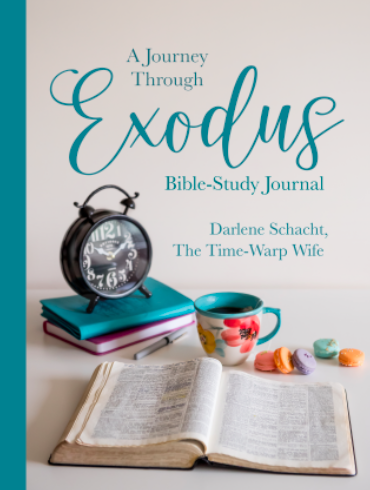 How can I access the free Bible study on Exodus? This is an outstanding study. I just can’t leave it alone. Many, many, many times I have been in Exodus. Do you know I discovered Aaron used his staff. Exodus 7:10 In my head it was Moses. Just had not noticed before. OH how I love the word. It is amazing to me how we can read it forever and it is still new every morning. (age 69 saying this) So burdened for my bible study girls that they get into the word. We meet Sunday morning and Wednesday night. I told them not long ago, “I know you think I am harping on you”, but it is just that “I don’t want you to miss out, you are missing out without the word”. Just came through one of those spiritual struggles that leave you high and dry. I am enjoying this study so much. Thank you for your faithfulness and love for our “faithful Father”. See you in eternity. HELP. I BOUGHT THE JOURNAL AND I WANT TO HAVE THE WEEKLY IMPUT. WHY DO I NOT RECIEVE ANYTHING???? I’ve been participating in this study but didn’t get me email this week???? Thank you Darlene for these bible studies. This is the second one I am doing. The first one I did was on Romans, which was awesome. I had surgery so I actually started late and have gotten behind on Exodus study. I think I deleted the email with your comments for chapters 6 – 10 and I can’t seem to find it here. Could you please send me the email again or tell me where I can find your comments/notes. Thanks again!